No casualties among Ukrainian servicemen. The forces of the antiterrorist operation in Donbas repelled the attack of militants in the area of Svitlodarsk, Donetsk Region, the Ministry of Defense said in a 20 December release. "Three assault groups numbering 3-5 people, after a methodical mortar attack, attempted to force Ukrainian units from their positions. After an adequate response the enemy was forced to retreat," said the statement. The government suffered no casualties, enemy losses to be specified. On Sunday, December 18, the separatists attempted to force the Ukrainian military from their positions in the area of the so-called Svitlodarsk bulge. 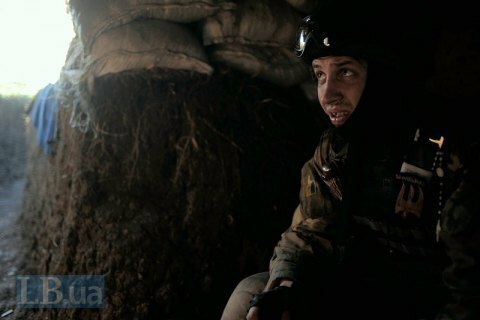 During the offensive, the enemy killed five ATO fighters, six were wounded, and 10 - shell-shocked or injured. The terrorists led fire from the civilian areas of Debaltsevo, Vuhlehirsk and Kalynivka, aiming to advance in the direction of Luhanske (Donetsk Region) and capture strategically important objects.